Established in the 1930s and 1940s, Beverly Hills is a popular Alexandria, Virginia, neighborhood known for its rolling hills and shaded lots. 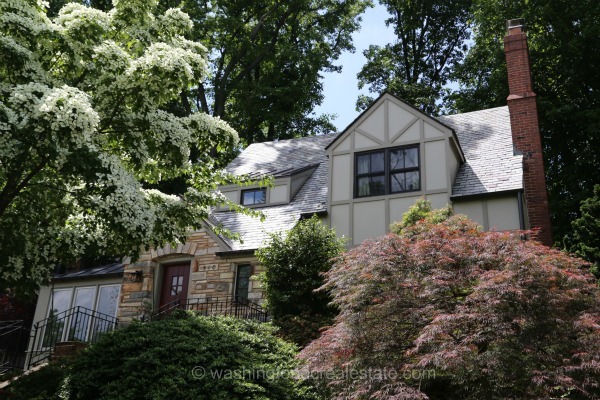 Adjacent to Shirlington and east of I-395, Beverly Hills is considered part of the North Ridge community. The area comprises a mix of stately Colonials and Cape Cod style properties with some semi-detached homes, condos and town homes constructed in the 1970s. Lots are largely set back from the road and framed by mature oak and dogwood trees. Many homes have been renovated to address the need for more open floor plans and modern conveniences such as larger kitchens and bathrooms. Floor plans typically range from 1,800 to more than 3,000 sf of living space. Residents point to the top-ranked schools and close proximity to parks and shopping as major selling points of the community. Pentagon City and the Potomac Yard Shopping Center are less than ten minutes away while residents can also find a number of shopping and dining options in nearby Del Ray. The local elementary school, Charles Barrett, is within walking distance of many homes in the neighborhood while George Washington Middle School and the High School are a short drive away. While Beverly Hills is a favorite of families, it is also popular with singles because of its convenience to the Pentagon as well as DC. Braddock Road on the Yellow and Blue LInes is the closest Metro Station.